Most of us can’t help ourselves: we have a sweet tooth and there are times we just have to indulge ourselves with something sweet and sugary. We tend to forget about the everyday foods we eat that contain sugar, either naturally or as an additive. 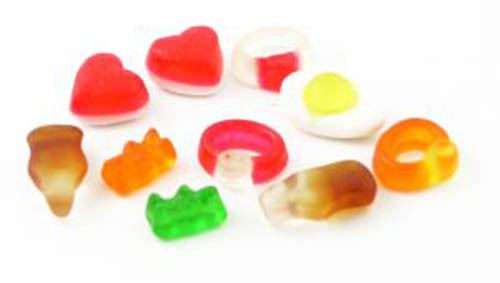 The recommended daily allowance of sugar in your diet is generally 20 grams per two thousand calories. We need a certain amount of sugar in our diets because sugar becomes energy. Without it, we couldn’t burn calories. It kind of sounds like a conflict; but if you eat a healthy diet, exercise, and burn those calories, moderate amounts of sugar are fine. I teaspoon of sugar equals 4.2 grams and 12.6 grams in a tablespoon. These are important facts to know if you are watching you sugar intake and counting those calories and grams. If you are a coffee drinker and are used to having three teaspoons of sugar in your coffee per cup, you will have used up half the recommended daily allowance in just one cup of coffee. If you eat cereal in the morning and add a couple of teaspoons of sugar to your cereal along with your coffee, you’ve maxed out your sugar for the day, per recommended daily allowances. The key is moderation; start to slowly reduce the amount of sugar you add to your coffee and cereal. I have to admit, my weakness is soda pop; I consume far more than the daily allowances recommend. In a 20 ounce bottle of regular soda (not sugar free) there are approximately 80 grams of sugar in one bottle. Considering on average person will drink at least three 20 ounce pops a day, that adds up to a lot of sugar. Some people naturally burn calories because of a higher metabolism while others have to struggle daily to burn off those extra calories from all that sugar. Not only is all that sugar bad for you by adding unneeded calories to your diet, it is also a danger to those who may be at risk for diabetes. Just because it is a fruit and considered healthy, you still must remember that some fruits have natural sugar in them and you need to know approximately how much sugar some fruits contain. A medium sized banana has approximately 14 grams of sugar. Granted bananas have nutrients our bodies need and is a natural source of sugar, but eating too many will add to calories. An apple can have anywhere from 15 to 23 grams of sugar. A regular size peach contains approximately 6 grams of sugar. 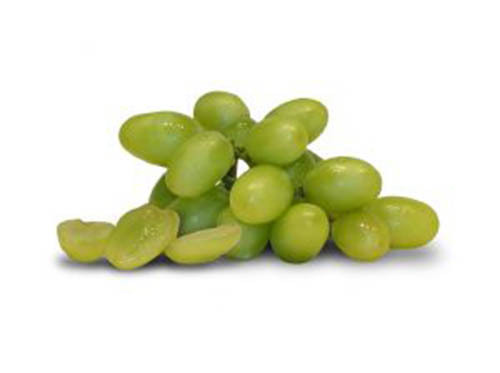 One serving of grapes, which is 10 grapes, has 7.6 grams of sugar. One normal size orange has 9 grams of sugar. I am in no way suggesting that you stop eating fruit; in fact I suggest you eat more of it in place of other types of snacks that have much more sugar and very little vitamins and minerals your body needs. Fruit supplies your body with natural sugar which produces energy, which helps you to burn calories. Often, people eat out of boredom; not because they are actually hungry; they just are bored and start snacking. They may also be enticed by advertisements on television to get them to get up and find some kind of snack food. Cravings are the hardest habit to break because those are the foods that give you an emotional feeling of comfort. But snack foods are high in sugar and calories and you must be very careful about how much you take in. One half cup of ice cream has 15 grams of sugar. 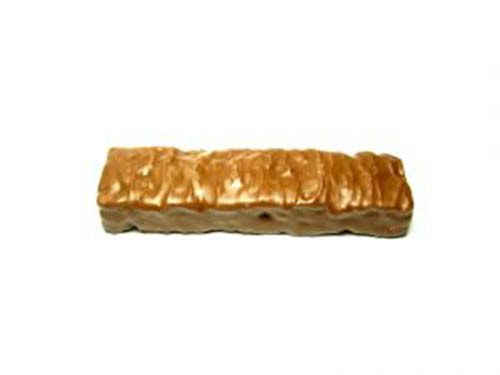 A 1.3 ounce candy bar has 12 grams of sugar. An 8 ounce serving of Jell-O has 34 grams of sugar; wow, I didn’t know that. A rice crispy treat has 22 grams of sugar. 10 jelly beans have 7 grams of fat. Who just eats 10 jelly beans? 2 tablespoons of cream cheese fruit dip has 8 grams of sugar. Looking at this list some of the things here don’t seem so bad because they don’t contain a great deal of sugar, however, what they lack is proteins and vitamins your body needs, so all you are getting from most of these foods is pure sugar and calories with no nutritional value. Even though you may be one of those lucky people who can eat anything and not gain a pound doesn’t mean you shouldn’t be eating the right types of food. Food has specific purposes for your body systems; certain foods maintain and keep those systems working well. Understanding what certain foods provide to your body is really an important aspect of living a healthy life style. Far too many of us, myself included, don’t eat enough of the good foods and far too many of the bad foods. I strongly recommend that you research what your recommended daily allowances should be according to age, gender, height, and weight. A are some very helpful guides that are sanctioned and regulated by the U.S. government; you will find some very interesting facts about your nutritional needs, the right foods to eat, diet suggestions, and how to count your calories and control your weight. The first step to having a healthier eating life style is to understand what foods you consume and how they work with or against your body; you will certainly notice a huge difference in how you feel once you begin eating the right combinations of foods and cutting out all those unnecessary sugary foods from your diet. Sugar is essential; you need it for energy but you also need to know how to moderate the amount of sugar you consume. Even though many of the fruits I listed above have high sugar content, they also provide vital vitamins and minerals your body needs to function properly. There are many interesting facts about sugar most people don’t know; I know I learned a lot from research and that I’m rather devastated that jelly beans have so much sugar. Story about Big Breast & ? Do you care for PRIDE?